Many thanks to ChinaHouse for hosting the second leg of DARK LIGHT & DECONSTRUCT, which will have its run beginning Tuesday, May 13 and continues until June 4, 2014. Our ongoing collaboration with ChinaHouse in Georgetown, Penang continues with this exhibition that promises something new for the good folks up north to experience. Most of the works that were on display during the exhibition’s run at Artemis Art will be on display, plus an added selection of works by Skinner, featuring a new painting, part of the Deconstruct series, created exclusively for the ChinaHouse exhibition (right). You will also get to see artworks from Skinner’s iconic Spoon series, exhibited for the first time in Penang. 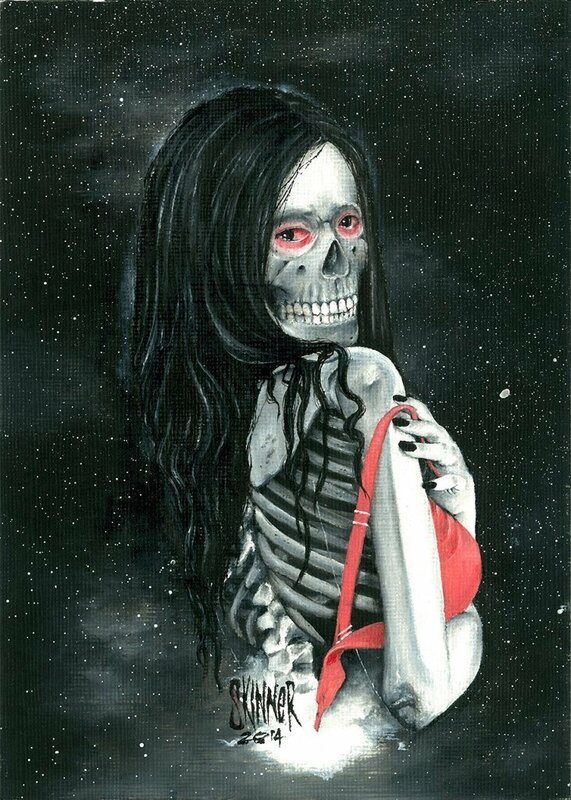 We don’t know for sure if the scary Doppel-Art:tech will make an appearance in Penang or not, but we have been informed that at some point during the exhibition’s run, both artists have made plans to travel up to ChinaHouse. 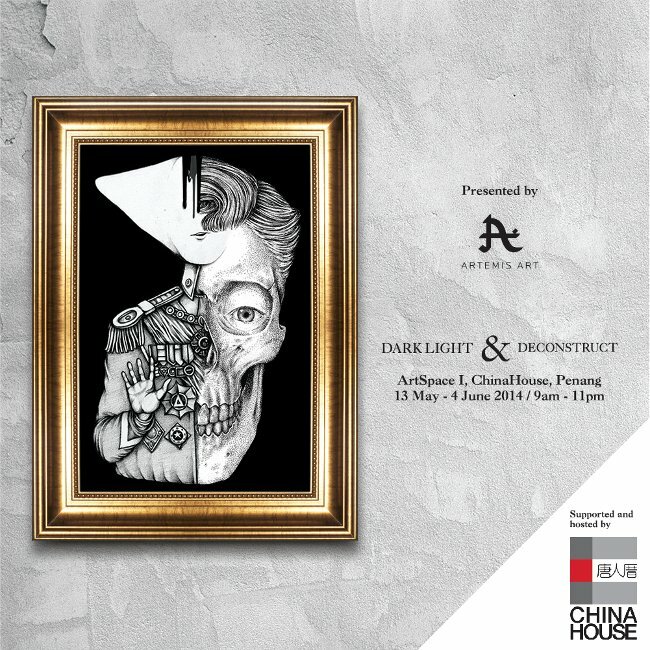 DARK LIGHT & DECONSTRUCT’s run in Penang marks the third collaborative exhibition that Artemis Art has done with ChinaHouse, and the first for 2014. This ongoing collaboration allows artworks to be viewed outside of KL, giving them a wider exposure. If you happen to be based in Penang, or plan to travel up to the island between May 13 and June 4, be sure to pop by ChinaHouse to view the exhibition, particularly if you didn’t get a chance to come by our gallery when the exhibition had its initial run. If you’ve never been to ChinaHouse, it is located in the heart of the Georgetown Heritage district, straddled between Lebuh Pantai and Lebuh Victoria, as indicated on this map. By the way, if you do pop by ChinaHouse, be sure to sample some of their sumptuous desserts, arguably the best you’ll find in Penang!